Frequently Asked Questions About Elder Law in Florida | DeLoach, Hofstra & Cavonis, P.A. Do I need an attorney to apply for VA benefits for my elder? VA Pension benefits were created to assist with the veteran, and his or her surviving spouse's, extraordinary health care needs. Most people refer to this program as "aid and attendance", which is a specific benefit level for those needing the most help. We have more about veteran's benefits for the elderly here. VA Pension benefits are "needs based", meaning the applicant must have only a certain amount of countable assets. The VA rules basically want the applicant to need the money for their healthcare but that the funds are not intended to provide an inheritance to the children. This means that the applicant is allowed countable asset limits based upon the applicant's age and money they are spending on their healthcare. For instance, a 65 year old veteran may be allowed $80,000 in countable assets but a 90 year old veteran applying for pension may only be allowed to have $30,000 in assets. One key to all this planning is that whatever is done to protect assets must not interfere with potential Medicaid benefits in the future. We typically use VA Pension benefits to help with in-home and assisted living care while we generally look to Medicaid to pay for the nursing home. What does this all mean? If your elder is a veteran or is the surviving spouse of a war-time veteran, you should see an accredited Veteran's Benefits attorney to help clarify your situation and if an attorney is needed. We offer free seminars on Medicaid and VA planning if your elder may need help. Sign up here to attend! 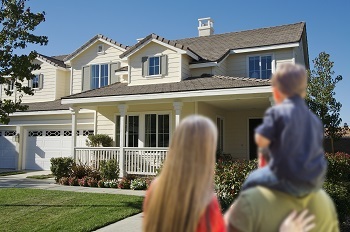 If your loved one is in the nursing home or assisted living facility and is on long-term care Medicaid in Florida (i.e., nursing home or assisted living Medicaid), you may know that the applicant is allowed to own a homestead property if the property is less than $585,000 in value (2019). If the Medicaid recipient is single, then all of his or her income, minus $130/month (the personal needs allowance), must go to the facility as part of the patient's responsibility. This means that the Medicaid recipient may own the homestead property but that her or she cannot keep their income to actually pay for the home. The family will have to pay for the home costs if they want to keep it. But what if there is no family member that is able or willing to pay for the home's upkeep (i.e., taxes, insurance, utilities, maintenance), or the family does not want to maintain the home? This is a very common question that we can help you address. If the elder/family have decided to sell the homestead property, the proceeds would take the applicant off of Medicaid, only if they keep the funds. Funds retained by the elder will become countable assets for Medicaid purposes, which will eventually take the elder off Medicaid. Importantly, if the homestead property is sold, Medicaid will not take the proceeds away, but the proceeds will take him or her off of Medicaid unless the family acts quickly. This means that with an elder law attorney's assistance, the sales proceeds can be protected. Importantly, you cannot gift the homestead property away within 5 years of a Medicaid application, so planning in advance is very important if you want to provide an inheritance for your children. If you want to protect your home for your children's inheritance before you go into the nursing home or assisted living facility, you may want to download a copy of our free guide to protecting your Florida homestead property. Also, many people ask will Medicaid take the proceeds from the sale? The answer is no. Medicaid (i.e., the State of Florida) does not take the proceeds, but unless someone acts to protect the proceeds, the Medicaid applicant will get taken off of Medicaid as the countable assets are now above the $2,000 limit. Finally, can DeLoach, Hofstra and Cavonis help us protect the proceeds? Yes. It does not matter where you or your elder is located in Florida. Medicaid is a statewide system and we are glad to work with and help families from all over and out of state. Can we protect assets with the elder already in the nursing home? My loved one just went to the nursing home - what will happen next? You do not know what the next steps are. So now that your loved one went to the hospital and is in the nursing home getting rehab, what questions should you be looking at? How expensive will rehab be? How are they responding to rehabilitation? Are the proper incapacity and estate planning documents in place? Should we apply for Medicaid? How long will he/she be there? 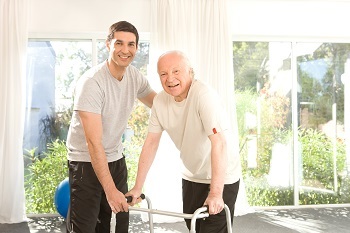 Generally, the elder’s ability to stay in rehabilitation is based upon their ability to get stronger and improve. The purpose of rehabilitation at this point is to get as strong as they can or to prevent further decline. At some point, whether through a decline in health, dementia or just general improvement, the elder's health insurance (i.e., Medicare or HMO) will stop paying for their stay in the rehabilitation facility. This is very important as it may tell us how long the elder will be able to stay in rehab. The elder will likely either have Medicare with a supplement or a Medicare replacement policy (HMO or PPO). Medicare will pay up to 100 days of rehab with a co-pay of $167.50/day (2018) for days 21-100. The co-pays may be picked up by the Medicare supplemental policy depending on the Medigap plan; plans A and B do not cover the skilled nursing co-pay. An HMO or PPO will have a similar payment program based upon the individual policy. Generally, Medicare is more generous in allowing rehab days than HMOs. Regardless of health insurance, it is extremely rare that the elder will stay the full 100 days in rehab covered by their health insurance, which means now is the time to start planning on where they will go next. Learn more about Medicare and Long-Term Care here. How is the elder responding to rehabilitation? Health insurance only pays to get the patient stronger and will not pay if he or she is not willing to participate, is too sick, or cannot participate in rehab due to dementia. The family must work with the facility to make sure the elder is participating and getting stronger. If the elder cannot or will not participate in their therapy, for instance, the health insurance will stop covering the rehabilitation. How much will skilled nursing cost? The cost for skilled nursing will vary based upon the health insurance, but it can get very expensive if you are not working with the business office and social worker to keep track of how the elder is progressing, the type of health insurance, and other factors. When the health insurance (i.e., Medicare or the HMO) stops paying, the cost for long-term nursing care is between $250 to $300/day. When the health insurance stops paying for rehabilitation, this generally means that the elder is now in the skilled nursing facility for long-term care. Now is definitely the time to make sure the elder has a last will and testament, durable power of attorney (done by an elder law attorney), designation of healthcare surrogate and living will. It may be time to update these documents if they are over 5 years old, or at least reviewed by an elder law attorney for accuracy, proper execution and relevance. Not all powers of attorney are created equal, for instance, and some do not allow the elder to protect their assets from the high cost of the nursing home. A wartime veteran or his/her surviving spouse may be eligible for VA benefits when there are unreimbursed medical benefits. Please see our page on veteran's benefits and long-term care. At this point, it is likely that the VA will not help with nursing home/rehab costs, but it can never be too early to look for the veteran's military discharge paperwork, for instance. We can generally say that VA benefits will provide the most help when a veteran is trying to stay home or looking for help with the cost of an assisted living facility. Stay in the nursing home (very expensive!). The ability to do any one of these may be very difficult. Will they be safe at home? Will Medicaid pay for home care? Will Veterans benefits help? What is the right facility? All of these questions, and more, are a part of the long-term care maze. Importantly, our law firm is here to help you navigate the long-term care maze. With our health advocate on staff, we help make sure the elder is in the right place, getting the right care and then taking the next steps, through the maze, together. This answer will depend on a number of factors such as where the elder goes next, their mental condition, their assets and their income. Now would be the time to meet with our law firm to make sure you are prepared to navigate the long-term care maze, protect assets, apply for benefits, and be prepared for will come next. Also, see the our list of Seven Lies Your Friends Tell You about Florida Medicaid. You may want to lean about effective spend down planning as well. What about moving to assisted living? If the elder has been declining or may not be safe to go home, the family may want to take advantage of the elder's time in the nursing home and apply for Medicaid. Please read our report on obtaining Florida Medicaid for the assisted living facility. Veteran's benefits, such as "Aid and Attendance" may also be helpful in paying for your elder's assisted living facility as well. When your elder has experienced a downturn in health, our law firm can help you answer all of these questions, and more, to make sure your elder gets the proper care, the assets are protected, and the family gets the help they need in making the right decisions. We may be able to help, yes. Medicaid is a state wide program and we have helped families protect assets and apply for Medicaid across the state of Florida. We offer a free initial consultation to see what we can do. Importantly, the elder will need to participate or the family must already have a good durable power of attorney to protect assets. I written a free book available for download that will address issues such as Medicare, placement issues, long-term care options, Medicaid and more. Don't Lose Your Nest Egg to a Florida Nursing Home is available for free download. Can we protect assets now that my loved one is in the nursing home?